Monotech Systems announced today that they will be joining the ranks of Amsky channel partners and introducing the Amsky Flexo CtP in India first time. With over 15 years’ experience in all aspects of printing technology, from pre-press through to post-press, and offices throughout the continent, Monotech Systems now has added the Amsky Flexo CtP to their portfolio. “We displayed the equipment in Print Pack India 2015, Greater Noida and response was really encouraging. Very soon we are going to announce the couple of installations.” Mr. Singh added. 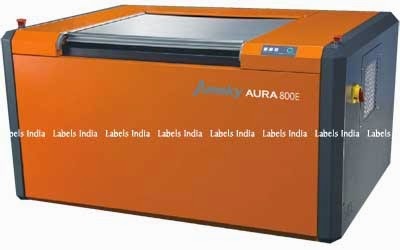 Amsky Aura 800 Flexo CtP offers various features and can help to improve the traditional platemaking technology of printing enterprise, and greatly increase the production efficiency of flexo printing enterprises. It also can promote the development of the field of packaging printing (paper packaging, plastic packaging, and metal packaging) and label printing. Color-Logic - developer of the Process Metallic Color System - has certified the Graphium Digital UV Inkjet Press for use with Color-Logic files. Announcing the certification, Color-Logic Director of Sales and Marketing Mark Geeves commented, "Color-Logic technicians have tested the Graphium Digital UV Inkjet Press for compatibility with Color-logic files. Current and future Graphium users can be assured that their presses will accurately process Color-Logic files and produce striking images on metallic foils and similar substrates. Using the Color-Logic system means that Graphium owners no longer need to create white ink masks. Graphium presses, together with the Color-Logic process, provide printers with 250 new metallic colors and a virtually unlimited combination of decorative effects. As brands require many more SKUs to address worldwide markets, the Graphium digital printing solution enables them to stand out from their competition on the shelf." The Graphium is a high speed hybrid UV inkjet press designed specifically for the narrow web and specialty packaging market by FFEI and Fujifilm. Marketed exclusively in North America by Fujifilm, the Graphium is the first press to be configured with under and over white, allowing pure white designs with opacity that exceeds traditional flexo white. Its modular design provides the ultimate functionality as it combines inkjet, flexographic printing and finishing, all inline. Utilizing greyscale print heads that produce a range of drop sizes from 6 to 42 picoliters, combined with inter-color LED pinning of Fujifilm Uvijet inks, enables Graphium to print fine details, smooth tones, and small font text demanded by the most exacting customers at single-pass print speeds up to 164 feet per minute. Flexo stations are configured inline before and after the inkjet print engine, providing the ultimate capability to produce unique, high quality labels. Color-Logic provides brand owners, product managers, corporations, and their advertising agencies the ability to differentiate themselves and their clients with a simple print production process that yields dramatic results. Color-Logic decorative effects utilize the existing workflows of printers and designers, yielding dynamic results without the use of special equipment. Color-Logic supports the value of print and works with designers and printers to enhance their printed media. AVT, the world leader in print inspection, print process control, and quality assurance, will showcase a variety of solutions for the metal decorating sector at the Cannex & Fillex Conference, June 1-4 in Guangzhou, China. AVT’s solutions for the metal decorating sector align with the industry’s needs for increased product quality and workflow efficiency. AVT is a leader in providing 100% inspection, process control and quality assurance, featuring complete, end-to-end workflow solutions whose automatic inspection techniques connect directly to its customers’ workflow. These comprehensive solutions include unsurpassed color measurement and control systems, leading process quality management tools, and a portfolio of additional optional solutions to further ensure the highest levels of quality. AVT's Titan is a comprehensive, 100% quality assurance and process control system for metal decorating applications based on the company’s advanced algorithm and sensitivities control capabilities. When installed on presses, Titan detects the full spectrum of typical print defects, including color variations, mis-registration (including varnish mis-registration), misprints, spots, incorrect characters, streaks, scratches, splashes, scumming, edges and bends. Upon finding a defect, Titan’s colored light tower informs the operator, who can then take measures to correct the issue. The system also is capable of sending signals that can eject, divert or mark the defected sheet or, should the issue be widespread, stop the press feeder entirely. Titan’s other quality control aspects include PDF comparison and color variation tracking, as well as a generated report, called PrintFlow, that enables easy defect tracing for subsequent analysis. AVT’s new CoatScan inspection solution for sheet coating presses is the first if its kind in the world. CoatScan provides coating margin monitoring and sheet positioning assurance through comparison with the user’s pre-determined standards. It also offers defect detection of the overall coating area, as well as indications of coating thickness variations. CoatScan also supplies users with comprehensive reports of all monitored items. AVT's Mercury Ink Color Control System precisely sets inking using a patented, digital servomotor on any new or existing litho decorating line. Mercury can combine with an optional CIP3 Pre-setting module. Analyzing image data from the pre-press plate results in substantial time saving and waste reduction during color make ready. Radware launches new hybrid cloud WAF service – a fully-managed service that provides unmatched protection from web application attacks. Radware, a leading provider of cyber security and application delivery solutions ensuring optimal service level for applications in virtual, cloud and software defined data centres, today released a new and fully-managed, cloud-based Web Application Firewall (WAF) service that provides unmatchedprotection from web-based cyber-attacks. Cyber-attacks remain a persistent threat and have become sophisticated in size and scope. Denial of Service (DoS), SQL injections and cross-site scripting are the most common web attack vectors, increasing in popularity. As migration to the cloud continues and expands, companies today are facing a more distributed network infrastructure. This transition of web based applications to the cloud have rendered on-premise mitigation tools ineffective against web attacks and require organisations to protect their applications both on-premise and in-the-cloud. Radware’s new Hybrid Cloud WAF Service is an industry first that provides a fully managed enterprise grade WAF that protects both on-premise and cloud-based applications, using a single technology solution. Unlike existing WAF solutions that integrate dual technologies, which results in a gap between protection coverage and quality, Radware’s single technology approach makes migrating applications to the cloud safer and secure. In addition to protection from various web attacks, Radware’s Hybrid Cloud WAF can also defend and mitigate a wide range of DDoS attacks through its always-on DDoS attack protection, and provide comprehensive detection and mitigation of attacks with minimal false positives and no impact on legitimate traffic. The Hybrid Cloud WAF Service also provides full coverage from all of OWASP’s Top 10 security risks and is backed by Radware’s Emergency Response Team - a dedicated group of security experts that can actively monitor and mitigate attacks in real time. Finat, the international association for the self-adhesive label industry, announces a series of webinars designed to present the latest independent label industry knowledge and focusing on topics relevant to the future of the industry. Purpose of the webinars is to offer a convenient tool at members’ fingertips to brief them on management, technology and sustainability developments that may impact their business in the near future. The Finat Board’s ‘New Converting Technology’ taskforce is driving the webinar programme, and works closely with Finat’s Young Managers Club that also regularly organizes business webinars specifically for young managers in the label industry with the next ones scheduled for June and October. A paper on Sensory Labels and Packaging will be presented by Hannah Hall, Research Manager at Blue Yonder Research. The fast moving consumer goods (FMCG) market has become incredibly competitive and with the additional pressure from the retailers to support promotions whilst keeping retail prices low, this all has to be achieved on efficient budgets. The webinar will provide insights into the techniques used to ensure that brands connect with their end-user on a multi-sensorial, often sub-conscious level that drives loyalty. Brands are constantly looking for added value and partners who share their passion. Strong relationships with brands are built by understanding precisely what they need, paying attention to the smallest details, and through introducing new techniques that can save time and money whilst improving their product offering. The techniques discussed in this webinar are relevant to all sizes of brands – local or global, and are absolutely essential to their growth. The webinar is open to Finat member company representatives - especially those involved in marketing and product development – who can register on the Finat website via this link. Marcus Ruckstadter, Sales Director at EU Zeller + Gmelin will look at why on site colour management is needed to reduce downtime and increase uptime; and how to understand customer as well as brand demands and their key drivers. Also the current challenges, along with the associated costs, printers and converters are will be addressed in the presentation. He will also detail possible solutions based on technology, not the human eye, and process driven financial and customer retention benefits. Corey Reardon, CEO of AWA Alexandar Watson Associates will expand on potential threats to the label market such as digital heat transfers on to bottles, replacing PS and competing with allied technologies such as sleeves and IML. Xeikon announces that Imprimex, a market leader in the Uruguayan packaging industry, has expanded its printing capacity with a Xeikon 3050 digital color press. The investment in the new press will allow the company to offer its label and folding carton clients the advantages of variable data printing, in short print runs and with the highest quality standards. Founded in 1978, Imprimex continuously grew and adopted its technological processes in order to meet the quality and productivity requirements of its clients in the food, beverages, cosmetics, editorial and advertising industries within the Uruguayan and international markets. “The new Xeikon 3050 digital press will support our new sales channel in the area of short-run folding boxes, for products with high quality and safety demands such as those required by the pharmaceutical industry”, says Horacio Rey Lottermoser, CEO of Imprimex. “Our strategy is to provide an answer to the international market trends. We want our clients to be able to count on a supplier that is capable of creating products like the ones developed in the most competitive markets worldwide. In Xeikon, we found a strategic partner that will help us to produce new and innovative products on the Xeikon 3050 press”. The choice of Xeikon’s 3050 model was based on the unique print width (516mm / 20”) of the press, which adjusts better to the client demands, and on the versatility for a diverse range of applications in the packaging market. “Thanks to its configuration (full rotary printing with variable repeat length) and print width, we can make better use of different formats and create more cost-effective price settings”, states Horacio Rey, while commenting on some of the specific functions that motivated the selection of Xeikon’s technology, “A new feature we highlight is the security printing possibility, which is very much sought for the authentication of original products. For us, it will be the ideal complement that will allow us to continue innovating and developing new products”. 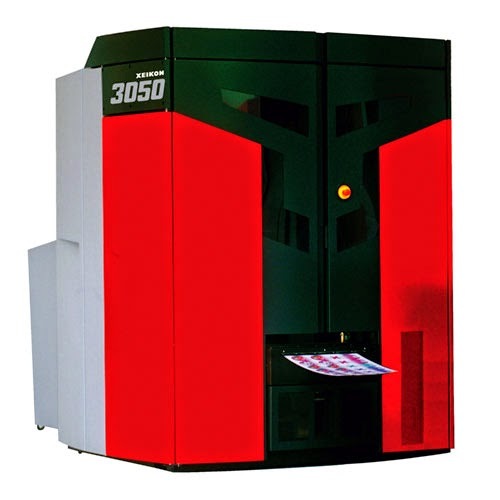 The Xeikon 3050 model is the entry-level press of the Xeikon 3000 Series, designed for label and packaging converters that require a greater capacity in the production of labels, folding cartons and promotional materials, with the functionality offered by digital printing technology. As business expands, the Xeikon 3050 press can be upgraded to one of the higher speed models of the Xeikon 3000 Series without any compromise in quality. The Xeikon 3050 press that was installed recently at the 28.500 square feet headquarters of Imprimex in Montevideo, has a variable print width of 250mm / 9.8” to 516mm / 20” and prints with speeds of up to 9,6m/min or 31.5 ft/min to work with maximum volumes of 974.16 square feet per hour. “This productivity level promises a fast return-on-investment and an additional production capacity to support our future growth strategy”, concludes Horacio Rey. Imprimex S.A. has more than three decades of experience in the packaging industry. Its portfolio comprises folding boxes in cardboard and micro-corrugated, displays, bags and point of sale materials. The company also has an executive division specialized in the production of self-adhesive labels in rolls, sheets, paper, OPP and PVC, certified with the ISO 9001:2008 norm. Asahi Photoproducts, a pioneer in flexographic photopolymer plate development, will be exhibiting at Converflex 2015, taking place from 19-23 May in Milan. Asahi will be located on stand R20 in hall 2 at the show. Asahi will be featuring its Pinning Top Dot plate technology, which enables a broad colour gamut, vibrant colour reproductions, soft tonal shades and improved productivity. A feature of both Asahi’s solvent-washable TOP and water-washable AWP plates, Pinning Top Dot technology (PDT) enables a clean ink transfer and prevents ink accumulating on the plate surfaces and shoulders in screen areas. This leads to fewer cleaning intervals and reduced downtime, as well as significant quality improvements. Pinning Dot Technology allows a kiss-touch printing pressure setting. It makes use of low plate surface tension, made possible by a specially engineered Asahi polymer chemistry, to inhibit liquid flow. The ink forms a globule, with a large contact angle and high pinning point. This results in a cleaner and homogeneous ink transfer from plate to substrate, helping flexographic printers meet the ever increasing quality demands of their customers. In addition to its Pinning Top Dot plate lines, Asahi will also debut its new HybridA liquid polymer resin. HybridA resin features higher viscosity for the post-printed corrugated printing market. The resin is a hybrid solution that combines the advantages of liquid resin with the technical properties of a solid plate. 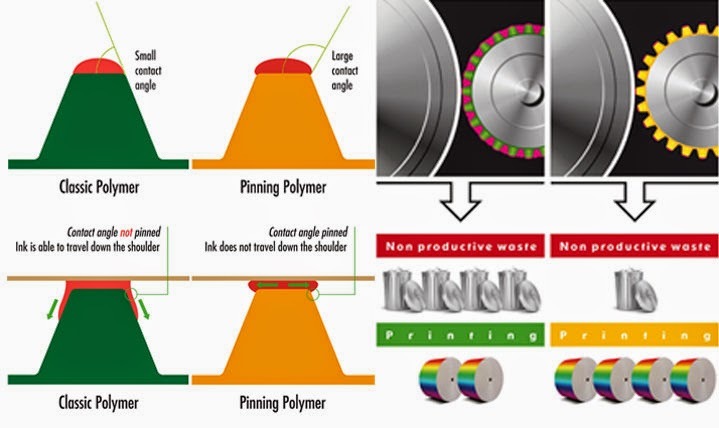 For more information about Pinning Top Dot and HybridA technologies as well as other flexographic solutions from Asahi Photoproducts Europe, visit www.asahi-photoproducts.com. The L9 label associations are pleased to announce the results of the 2014 L9 World Label Awards competition judged by an international jury just before Labelexpo Americas in Chicago in September 2014. The L9 is an alliance of global label associations for the purposes of formulating polices and gathering strategic information in connection with global matters affecting the worldwide label industry. The current class structure includes 22 classes covering all the principal printing processes and markets. 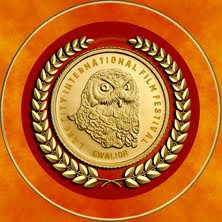 The results are listed in class order with the Winners announced first followed by the Honourable Mention (HM) awards. “The World Label Awards are seen as the technical Oscars of the global label industry with members of the L9 group showing off the best labels from their own ‘domestic’ competitions. Every year we see technically excellent labels from around the world which tend to reflect the technical advances within the international label industry. As judges we see “new” applications being presented especially in the Innovation class,” comments Tony White, chairman of the judging panel. “The final icing on the cake is the selection of the entries for Best of the Best awards which represent the five main printing processes”. The associations participating this year were FINAT (Europe), JFLP (Japan), TLMI (North America), SALMA (New Zealand), PEIAC (China) and LATMA (Australia). The judges for this year’s competition included Mike Buystedt (Temporary chair) TLMI, Kurt Walker FINAT, Andrew Maxwell LATMA, Tony Wheeler SALMA, Teru Hama JFLP, Qiu Xiaohong PEIAC, ABIEA supplied a judge also. In the past two years 5 additional L9 Global awards representing the “Best of the Best” entries from the principal printing processes. The awards will be presented at Tarsus event which will be held during Labelexpo 2015 in Brussels in September 2015. The winners are selected from the winning entries in the L9 World label Awards competition from the following classes: Flexography, Letterpress, Offset Litho, Combination Printing, Digital Printing. 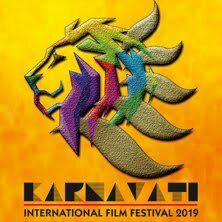 The identities of the winners will be revealed at the awards ceremony and are perceived as the “Oscars of the Oscars” of the international label industry. The judging for the 2015 L9 WLA competition will take place on the 28th September 2015 in Brussels at the Labelexpo venue. The newly released version 8 of EFI Digital StoreFront web-to-print and eCommerce solution - part of EFI’s comprehensive Productivity Suite of certified, integrated workflows – creates unprecedented new capabilities to help print providers streamline, simplify and improve the print buying experience. EFI will showcase the updated solution at two upcoming industry events in Las Vegas: the ISA International Sign Expo (April 9-11) and the PODi AppForum (May 11-13). This upgraded version of EFI’s award-winning, flexible web-to-print solution provides industry-leading capabilities, including new, EFI DirectSmile options that extend the types of variable-data and personalized direct mail campaigns corporations can successfully create online. Print providers can profitably produce more work using the industry’s top online job submission solution integrated with a complete Productivity Suite offering real-time, bi-directional integration and data sharing with EFI MIS/ERP and EFI Fiery digital print workflows. Print providers can strengthen customer loyalty and improve their service capabilities by offering new, value-added features that give their customers more flexibility and capabilities. With the web-to-print software’s new Enterprise Model, print providers can subdivide a client’s single Digital StoreFront license into different interfaces to serve different franchises or subsidiaries within client’s organization. Print providers can also offer their clients more-convenient, one-stop-shopping for a range of services using a new marketplace sales offering that can incorporate content partners such as copywriters, photographers and graphic designers, in a single online ordering interface. The software also streamlines and enhances the web-to-print ordering process with single sign-on (SSO) authentication for multiple users within the same organization, more-accurate shipping estimating using UPS CONNECT rate look-up tools, and support for online purchasing of ebooks or other electronic content. “Print providers can become very efficient in their work with corporations, creatives and agencies, moving creative concepts through to successful execution using a platform that manages the many important details,” said David Minnick, EFI’s product management director for web-to-print and value-added products. EFI Digital StoreFront is part of the complete EFI Productivity Suite of printing and converting MIS/ERP, web to print and eCommerce workflow solutions for small, medium and enterprise businesses. 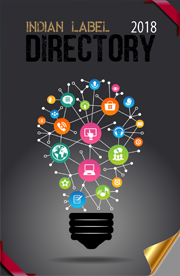 EFI’s premier web-to-print offering also includes the advanced technologies that have made it print providers’ preferred online job submission solution for reliable and secure end-to-end workflows, including standardized, JDF-based automation and streamlined job routing to copiers, printers, digital presses, and prepress/platesetting systems from major equipment manufacturers. Printing and packaging professionals across the globe rely on EFI’s portfolio of workflow products to manage their businesses and become more streamlined, efficient, informed and profitable. 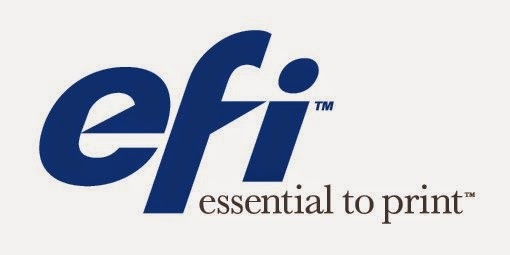 EFI is a worldwide provider of products, technology and services leading the transformation of analog to digital imaging. Based in Silicon Valley, with offices around the globe, the company's powerful integrated product portfolio includes digital front-end servers; superwide, wide-format, label and ceramic inkjet presses and inks; production workflow, web to print, and business automation software; and office, enterprise and mobile cloud solutions. These products allow users to produce, communicate and share information in an easy and effective way, and enable businesses to increase their profits, productivity, and efficiency. Jeco Plastic Products-designer and manufacturer of plastic pallets and containers for the worldwide printing and automotive industries since 1973-recently hosted U.S. 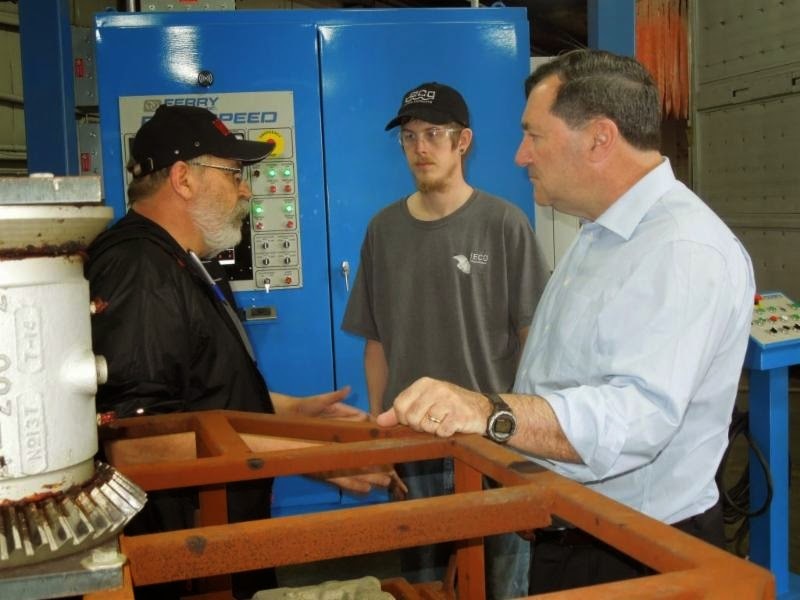 Senator Joe Donnelly for a tour of the Jeco facilities. Donnelly, one of two United States senators from Indiana, visited Jeco as a stop on his "Donnelly Days" program. "Donnelly Days" are an ongoing series of events where Donnelly works alongside employees in a variety of jobs and professions in communities across Indiana to gain a greater understanding of the issues most important to Indiana workers. During his visit to Jeco, Donnelly learned about Jeco efforts to export its precision plastic pallets to the worldwide printing and automotive industries, as well as the Jeco role in developing sophisticated plastic materials for aerospace and military applications. Commenting about the event, Jeco CEO Craig Carson said: "Jeco Plastic Products is honored to have been chosen by Senator Donnelly to learn about our technology and its role in the global manufacturing process. We are grateful for the opportunity Jeco staff and production employees had to show our rotational molding and thermoforming capability to one of our nation's leaders." Located in Plainfield, Indiana, Jeco Plastic Products designs and manufactures extremely durable high-tolerance pallets and containers for the worldwide printing and automotive industries, as well as other industries handling heavy product which must be protected from damage. Other Jeco capabilities include the ability to produce large plastic structural components made with continuous carbon fibers in a variety of engineering thermoplastics. Jeco designers employ complex internal reinforcement to impart dimensional stability and structural integrity to their products. Jeco production facilities include rotational plastic molding and thermoforming capabilities unique in North America. Microscan, a global technology leader in barcode, machine vision, and lighting solutions, has been selected by Cross Company’s Automation Group for an integrated robotic inspection solution using the Universal Robots UR5 robotic arm and Microscan Vision HAWK Smart Camera. The vision-guided robot is a turnkey inspection system that provides final quality inspection of large components like automotive engines or large electronic sub-assembles where multi-point inspection of the part is required in three dimensions. 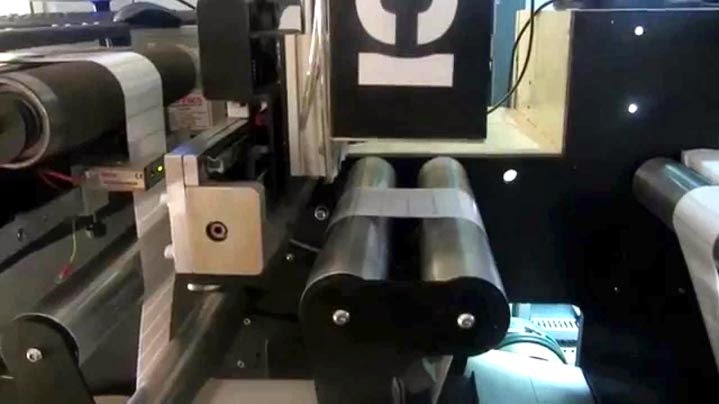 The solution combines easy-to-use machine vision components with easy-to-use robotics, solving complicated inline inspection applications simply and safely for manufacturers. In order to perform quality inspection of large components, multiple machine vision cameras are typically required because the component may be too big for the available number of pixels in a single machine vision sensor to capture all part features and complete all inspections in one image, or the inspections must be made from several angles around the component. This type of inspection is therefore not commonly automated because of the requirement for excessive equipment, mounting space, and complex configuration of all necessary tools. But this is where robotics, like the UR5 robotic arm, excel in simplifying all equipment into a single automation solution. The UR5 system uses one machine vision camera in a dynamic application, where robot and camera communicate data in order to navigate to the necessary inspection points on all sides of the component. In Cross Company’s UR5 robotic inspection system, the inspection locations for a given part are communicated by way of a SKU that is read from a component as it enters the inspection point on the manufacturing line. This SKU initiates a machine vision job on the Vision HAWK Smart Camera containing all of the prescribed inspection steps for that component. As the UR5 robotic arm moves to the correct position, a command is sent to the Vision HAWK camera for the correct sub-inspection to perform at that location. The system keeps track of the cumulative results of all inspections and this collective pass/fail data is combined into an overall quality report for the component. The system can then perform new sets of inspections for new components coming down the line based on the unique SKU of each component, indicating specific inspection tasks. This modular process ensures automated quality control can be incorporated without downtime on the line, enabling a fully inline inspection step that is easily incorporated at any stage of manufacturing. Microscan’s Vision HAWK Smart Camera was selected for Cross Company’s UR5 inspection system because of its fully-integrated design, bringing together powerful inspection tools, image processing, advanced optics, liquid lens autofocus, and LED lighting all within one compact industrial machine vision camera. The camera integrates easily into equipment via RS-232 or Ethernet connections and can communicate over serial, Ethernet TCP/IP, EtherNet/IP, and PROFINET I/O protocols using the Microscan Link industrial connectivity tool, available across all Microscan machine vision systems. Part of Microscan’s AutoVISION family of machine vision products, the Vision HAWK Smart Camera takes advantage of a full suite of inspection capability and user-friendly technologies from Microscan’s legacy of machine vision innovation. This includes the new CloudLink Web HMI, which is used in the UR5 robotic inspection system to display inspection results on a wireless tablet or smart phone using a web browser. Cross Company’s UR5 robotic inspection system was recently demonstrated at Automate 2015 in Chicago, where Microscan Machine Vision Promoter Dr. Jonathan Ludlow hosted a Video Showcase of the live UR5 robotic inspection demo, organized by machine vision global media source Vision Systems Design. 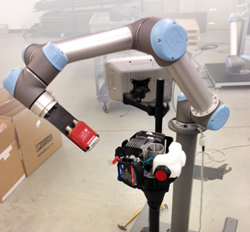 More information about the UR5 robotic inspection system solution is available at cross-automation.com, and from Product Manager Paul Carter in the Cross Company Blog. Microscan is a global leader in technology for precision data acquisition and control solutions serving a wide range of automation and OEM applications. Founded in 1982, Microscan has a strong history of technology innovation that includes the invention of the first laser diode barcode scanner and the 2D symbology, Data Matrix. Today, Microscan remains a technology leader in automatic identification and machine vision with extensive solutions for ID tracking, traceability, and inspection, ranging from basic barcode reading to complex machine vision inspection, identification, and measurement. Finat, the European association for the self-adhesive label industry, announced today the launch of the second Finat Recycling Awards Competition. Within two award categories, self-adhesive label end-users and self-adhesive label converters, companies that have their paper and/or film release liners recycled are invited to apply, and get recognized for taking steps to lower the environmental impact. The deadline for submitting entries is May 22nd and the competition will culminate in the announcement of the winners at the European Label Forum in Amsterdam, held from 11 to 13 June 2015. 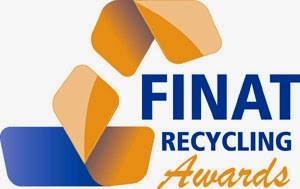 The goal of the Finat Recycling Awards Competition is to raise awareness for the growing number of sustainable and economically-viable recycling programmes. These offer companies site-specific solutions for the collection and recycling of used release liners, allowing them to reduce both their carbon footprint and landfilling costs. “We were delighted by the large number of good entries to our first Recycling Awards Competition last year. We are looking forward to continue this success and see new examples of how the industry is rising to the challenge and embracing the available recycling solutions,” says Jacques van Leeuwen, Chairman of the FINAT Recycling Awards Competition. Release line recycling is important, not only for the environment but also for label converters and printers. It contributes to the reduction of the ‘footprint’ of a label company, FMCG brand or private label which is becoming ever more essential because of the growing emphasis on corporation’s responsibility towards society and the planet. In addition, release line recycling also offers economic advantages as it can reduce the costs associated with the management of secondary release liner materials, compared to alternative disposal methods. It also provides a potential answer to legal or market requirements in the context of government or corporate environmental sustainability programmes, now and in the future. 1. Achievements (volume and percentage recycled): How much liner (in volume and percentage) does the company recycle? Is this traceable? Does the company recycle other secondary label materials? 2. Communication and promotion: Is the company actively involved in the promotion of release liner recycling? Is the company making efforts to encourage partners/customers to engage in recycling? 3. Innovation / opening of new markets: Is the company using a new/innovative approach to logistics or recycling? Is the company representing a new end-user market for liner recycling? 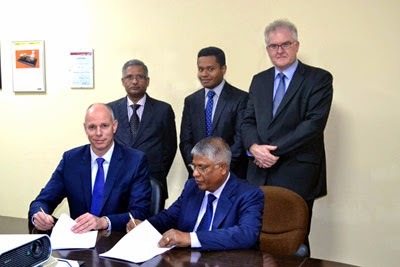 MPS announced the appointment of Anoop Plastic Products Trading Establishments as agent of MPS flexo and offset printing presses in the UAE, Kuwait, Oman, Bahrain, and Qatar. This partnership provides immediate local support and positions MPS for future growth in the Middle East. Based in Sharjah, UAE Anoop is a leading, well-established printing materials supplier and the first specialized supplier of flexo printing materials and pre-press equipment in this region. Anoop’s product portfolio includes printing presses, pre-press and post-press equipment, accessories and consumables from industry-leading suppliers such as Stork, Flint Group, Lohmann, Cheshire Anilox Technology, Zeller+Gmelin and many more. Built with a team of electronics and software engineers, Anoop provides local and prompt technical service in addition to pre and post-sales consultation. With their broad range of supplier representation, Anoop is well-connected to label printers throughout the Middle East. Anoop has quickly become active representing MPS in the Middle East, after initial in-depth product training to a team of 11 Anoop employees. Anoop is set to promote MPS flexo and offset printing presses in stand J18 at the upcoming Gulf Print & Pack show in Dubai. At Gulf Print & Pack, Erik Blomjous, Regional Director East and former Area Sales Manager in the Middle East, introduced Matthijs Stevens as the new MPS Area Sales Manager for the Middle East. Established in 1993, family-owned Anoop is based in Sharjah, UAE and active in Kuwait, Oman, Bahrain, and Qatar. 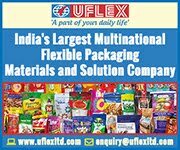 Part of Suresh Babu Group of Companies, Anoop is a well-established printing materials supplier and the first specialized supplier of flexo printing materials and pre-press equipment in the United Arab Emirates. Anoop represents many industry-leading suppliers including MPS, Stork, Flint Group, Lohmann, Cheshire Anilox Technology, Zeller+Gmelin for printing presses, pre-press and post-press equipment, accessories, and consumables. MPS is a worldwide, well-known and high-quality brand of flexo and offset press solutions for label and flexible packaging printers. By providing extensive knowledge and world-class service to enhance the printing process, MPS helps customers excel. We improve the printing process and customer experience through product innovation. Through use of our know-how and capabilities, we can recommended press solutions that best serve our customer’s requirements. MPS has a team of experts when it comes to knowledge of the printing process and desired results in label and flexible packaging print runs. We continuously expand our knowledge through regular contact with customers and suppliers, in addition to retail specialists in the area of label and packaging design. We share and apply our expertise every day, and can offer a specific solution for every customer. Enfocus has established a new subscription option that gives users a low-cost way to license software, while providing more flexibility and control over where and how the software is used. The first product to be available with this subscription option is PitStop Pro 13, which will be released mid-April, 2015. The PitStop customer base strongly validated the company’s research regarding need, requirements, and viability of a subscripton option to be available along with the traditional PitStop Pro license. A subscription license is a cost-effective way for users to access applications. The model lowers upfront fees, and the monthly subscription option allows users to control their operating expenses more efficiently. For example, customers can increase subscriptions during peak times, and reduce them during slow periods. Additionally, the new model gives users access to PitStop Pro wherever they are, and whenever they need it. While the subscription and traditional licenses afford access to the same application, subscribers always have immediate access to the latest version of the technology, eliminating the need, in some cases, to obtain approvals for updates or upgrades. Enfocus will continue to offer the PitStop Pro license key option to customers who prefer capital expenditure over operational expenditure. The subscription license is tied to a new system that utilizes customers’ account identification, called Enfocus ID. To access their PitStop Pro subscription, users sign into their accounts using their Enfocus ID. Once authorized, the subscription to PitStop Pro is enabled on that computer. The users remain signed in and do not need to re-enter their credentials every time they are online. To access their subscription from another computer, users simply log out and use their Enfocus ID to log in from the new computer - such as a different computer at their company or a laptop at home. Companies can purchase multiple subscriptions with one Enfocus ID, and assign them to staff. These subscriptions can be easily managed and updated as the needs of the company and the staff change. A survey of more than 2,000 Enfocus customers confirmed the positive response to this subscription license model and helped to guide its development. Many of these customers are also contributors to Enfocus’ research and development on a regular basis - a hallmark of the company’s success. Subscribers to PitStop Pro have full access to email technical support. Users can easily manage all aspects of their subscriptions in the account section on the Enfocus website. In addition, users who opt for a subscription license will always have access to the latest version of PitStop Pro, as all upgrades are included in the subscription pricing model. A PitStop Pro subscription is available through a local Enfocus reseller or through the Enfocus website. The option for subscription licensing will be available when PitStop Pro 13 is released in April 2015. A single monthly subscription for PitStop Pro will cost €30 per month, or €25 per month with an annual prepaid contract at €300, while a perpetual license costs €699. Color-Logic- developer of the Process Metallic Color System- has released a new video which shows how the Color-Logic system and XMPie, when used together, permit graphic designers to automatically produce the white ink masks necessary for printing variable information on metallic substrates using digital presses. Discussing the technique, Color-Logic Director of Sales and Marketing Mark Geeves commented: "White ink masks for every variable data field are required for printing metallic images, text, vector graphics, or sequential numbers with digital presses on metallic substrate. Until Color-Logic developed a foolproof technique enabling XMPie to automatically and effortlessly generate them, producing the necessary white ink masks was impractical. A video on the Color-Logic website shows how to easily prepare files using Color-Logic with XMPie." Tianjin Toyo Ink Co., Ltd., a wholly-owned subsidiary of the Toyo Ink Group, announced today that it will be exhibiting a comprehensive lineup of print and packaging products at The 3rd International Printing Technology Exhibition of China (Print China 2015). Tianjin Toyo Ink will offer eco-friendly, high-performance and high-value-added products to meet the needs of the China print market as well as propose integrated solutions with the aim of creating new business. Print China will run from April 7 to 12 at the Guangdong Modern International Exhibition Center in Dongguan, Guangdong Province, China. Located in Booth 61016 in Hall 6, Tianjin Toyo Ink will showcase products and solutions under the following two product categories: Eco-friendly Printing Inks and Packaging Materials. Eco-friendly Printing Inks: The company plans to exhibit print samples using its eco-friendly specialty color inks based on the six-color offset printing method. Moreover, an updated lineup of web offset inks, dampening agents, cleaning solvents and other printing materials will be on display. Packaging Materials: Featured products include flexible packaging inks and adhesives, UV inks and coating materials for folding carton, eco-friendly liquid inks, high-impact coating materials and Japanese silkscreen inks among other materials. “For more than 20 years, Tianjin Toyo Ink has been delivering competitive and innovative products to meet growing demand in the Chinese market. Our proven track record of providing advanced technology and eco-friendly solutions that support the businesses of our customers has helped us become the leading ink manufacturer in China. At this year’s Print China, we aim to build on the relationships we have with existing customers and attract new ones,” commented Jianjun Wang, president of Tianjin Toyo Ink. Monotech Systems has successfully installed its first Jetsci VSRI at a security printer’s facility, with the second press in the process of being installed. Jetsci VSRI was launched at Labelexpo India 2014 and this order was booked during the show. Monotech Systems that unveiled its new avatar of Jetsci variable data printing (VDP) inkjet system at Labelexpo India 2014 on 29 October. VSRI stands for variable data printing, slitting, rewinding and inspection, and the machine, Jetsci VSRI 330, was on display at the company’s stall at the expo. Jetsci VSRI is designed for label and security printing jobs such as tax stamps, and comprises a slitter, rewinder, UV inkjet printing system, UV curing, camera inspection and verification system. Variable data printed on each label gets verified by the camera inspection system. The Jetsci systems are available in two variants - Y and M series. The M series is a new product with speeds over 150 metre per minute either with UV curable ink or water-based ink, depending on the applications. The machine with Kyocera printing heads and GEW UV drying lamps, is capable to print through both water-based and UV inks. Monotech Systems has also installed a total of 18 Jetsci inkjet VDP monochrome machines. Of these, 14 were installed during the 2014-15 financial year. Rotocon, a provider of consulting and service to South Africa label converters in the narrow web industry today announced the sale of a Screen Truepress Jet L350UV to HP Labelling for their Cape Town manufacturing facility. The order was led by Pascal Aengenvoort, sales director of Rotocon and marks their second sale of the Truepress Jet L350UV in South Africa since being appointed reseller of the inkjet label press less than one year ago. Photo-realistic quality, fast job turnarounds and stable output are standout features of the innovative Screen Truepress Jet L350UV inkjet label printing system. The high-speed press prints at up to 50m/min on a 350mm web. Using Screen’s proprietary high-definition CMYK+W UV inks, the Truepress Jet L350UV produces a wide-gamut of vibrant colours and smooth tones at high resolution. Voted "Best Label Printing Solution" in the 2014 European Digital Press Association Awards, the Screen Truepress Jet L350UV press is specifically designed to meet brand owners' increasing demand for value-added packaging to increase product differentiation. Bringing over 50 years of experience, HP Labelling is one of South Africa’s largest label producers offering expertise in flexographic printing of a vast variety of self-adhesive labels, in addition to the production of nursery & log tags, automotive metal labels, plain label manufacture & thermal ribbon supply, and thermal printing machines & systems. HP Labelling serves customers across southern Africa with two dedicated manufacturing plants in Johannesburg and Cape Town, and sales offices in Durban, Port Elizabeth and East London. Xeikon, an innovator in digital color printing technology, announced today that Berco Labels, a Quebec City, Quebec-based printer of pressure-sensitive labels, has successfully expanded its business and production capabilities after purchasing and installing a Xeikon 3030 digital color press. Founded more than 40 years ago, and part of the Group Magnitude family of companies, Berco Labels is the only printer in Quebec offering three printing technologies - digital, offset, and flexographic. Berco installed the Xeikon press in late 2012, and has become a pioneer of Xeikon label printing technology in the Quebec area. Manon Leclerc, president of Berco Labels, said that the addition of Xeikon 3030 has opened up new applications that the company could not have handled cost-effectively using flexographic technology. "Xeikon digital technology allows us to produce short and medium runs profitably. We were not able to do so with flexo technology. The Xeikon 3030 has enabled us to be a much more complete and diverse supplier to the market," Leclerc said. The bulk of Berco's digital label production is for the food and beverage industries. Xeikon label presses shine in producing these applications with their industry-leading imaging quality as well as FDA-compliant toner. Xeikon label presses also offer a 'one-pass' opaque white toner that's ideal for Berco's production of high quality wine and spirits labels on clear substrates. 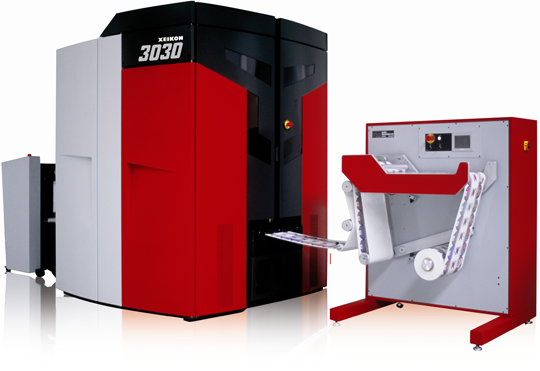 The Xeikon 3030 is the entry-level narrow web press of the Xeikon 3000 Series. 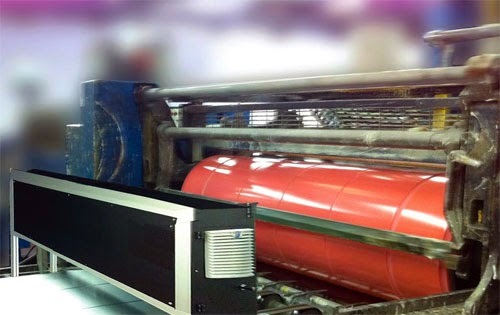 It offers a high level of productivity due to its full rotary printing, which is independent of the number of colors being printed as well as the repeat length of the label. It also offers true 1200 x 3600 dpi imaging resolution, with a media width of up to 13 inches, and can handle a variety of substrates without pretreatment or priming. "It's been impressive to watch Berco take advantage of our digital printing capabilities and further strengthen their business," said Todd Blumsack, Vice President of Sales and Marketing at Xeikon America, Inc. "Xeikon label solutions offer an unbeatable combination of print quality, flexibility, versatility, and productivity, and are helping Berco meet the growing demands of its customers," he added. Minnesota-based leader in wholesale label printing honored by Graphic Design USA in their packaging awards competition. Label Works, a leader in wholesale label printing based in North Mankato, Minnesota, is pleased to announce that they have been honored by Graphic Design USA (GDUSA) in the 2015 American Package Design Awards. For more than fifty years, GDUSA has sponsored design competitions, and the American Package Design Awards is the fastest-growing competition in this decade. This year’s competition received over 2000 entries, of which roughly 15 percent were recognized as winners. Label Works was honored with a certificate of excellence for a series of Whiskey Bottom Candle labels printed for Octavo Designs. The three label variations included were for the Hot Tottie, Whiskey Barrel, and Cranberry Smash candle varieties, and a back label was also included. Toyo Ink (Middle East) FZE. and Toyo Ink Arets Middle East FZE., both wholly-owned subsidiaries of the Toyo Ink Group, today announced that they will jointly exhibit their latest offset inks, UV inks, packaging materials and can coatings at Gulf Print & Pack 2015. The trade show will run from April 13 – 16 at the Dubai World Trade Centre in the UAE. Gulf Print & Pack 2015 is the leading event for commercial and package printers in the Middle East and North Africa. Located in Hall 4, stand A4, the Toyo Ink Group will have on display its long-running Toyo King Nex and VOC-free Toyo King Hyplus NV 100 series of offset inks as well as its eco-friendly gravure ink series for food packaging, MultiStar, and Toyo Ink Arets’ UV inks and UV-related materials. MultiStar and Arets’ UV inks are Swiss Ordinance-compliant and formulated to meet strict industry or legislative guidelines for food packaging. Another featured product is the fast-curing Steraflex UV flexo ink, a highly rated brand particularly in Europe. This series is ideally suited for label and flexible packaging markets. To meet growing Middle East demand for food cans, Toyo Ink will highlight its Finishes high-performance can coatings used in various types of metal food and beverage cans. Toyo Ink Arets will also showcase its VOC-free NewsCure series of UV inks for newspaper printing. “The commercial package printing market in the Middle East and North Africa is on an upswing, fueled by increased consumption levels and a booming construction sector. The Toyo Ink Group is looking to capture new business opportunities and further expand our presence in this important growth market,” commented Yasushi Namise, president of Toyo Ink (Middle East). Established in 2000, Toyo Ink (Middle East) FZE. (Dubai, UAE) is a marketer of commercial printing and packaging inks and materials, and related products. Toyo Ink Arets Middle East FZE., headquartered in Sharjah, UAE, is a marketer of UV inks and UV varnishes for folding carton, paper label and plastic film printing applications. Both companies are wholly-owned subsidiaries of the Toyo Ink Group.